The Royale Bed is a classic design with a contemporary twist, the rich, dark solid beech frame beautifully complimenting the contrasting upholstery in high-quality polyether foam with stunning decorative buttons. 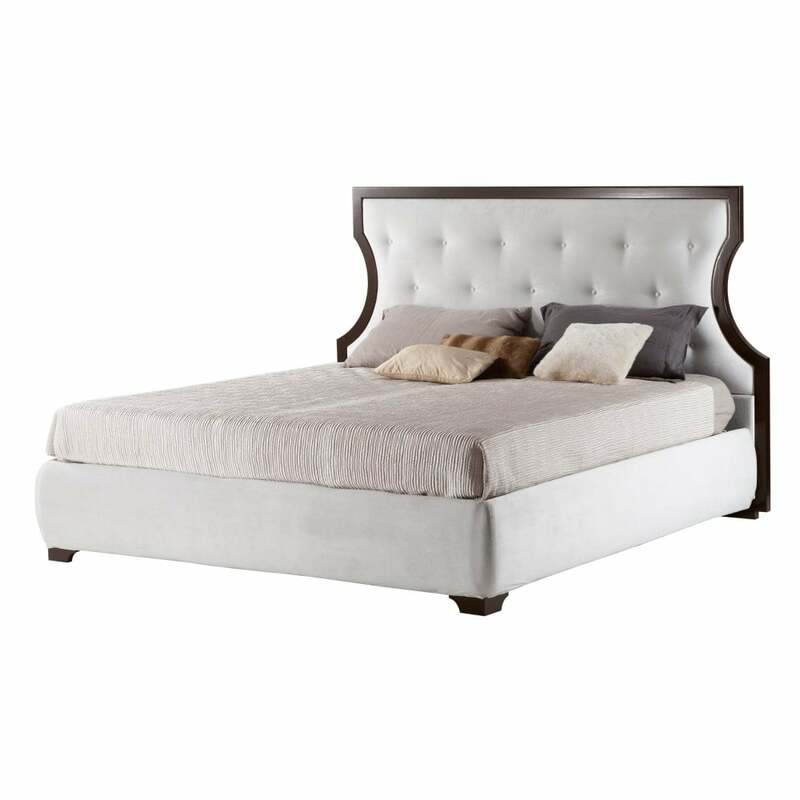 The headboard must be attached to the bed frame model 2032 or 2033 and is available in leather or plain coloured fabrics, finished with a piped edge. Not only does this design draw you in visually, it also scores highly in absolute luxury and comfort. To complete this classic look compliment with the Vendome Night Stand or the stunning Dante Bench. The price shown does not include the bed base, which is priced separately. Priced for cat 2 fabric with Sahara,Kohiba or Blazer woods, other options available.